I have resided on a variety of GP forums for several years. Over time, you notice trends of themes and questions that crop up on a regular basis, particularly for sessional GPs (salaried and locums). What do I do if I turn up as a sessional GP and the practice does not need me? A practice has not paid me for the work I have done as a sessional GP, what do I do? A practice has left (insert any GP workload item here) for me to do, do I have to do it? I have to cancel my sessional GP work tomorrow, what do I do? Many who ask these questions will often get a variety of replies. Some helpful, some not. However, the simplest answer is: ‘refer to your terms and conditions’. This article will cover what to consider in your terms and conditions and also support in creating your own. You may read this article thinking ‘I do not need terms and conditions as I have never experienced any problems’, or ‘it will not happen to me’ with regards to problems with working as a GP. Clearly, this would be a perfect world situation if applicable to all. However sometimes communication may be clouded, interrupted or things change and as a result, clear terms and conditions form the backbone of protection for sessional GPs and practices. Having valid terms and conditions is no different to having indemnity protection, car insurance or a backup chocolate bar. You hope you never need to use them, but if you do, they can significantly improve a bad situation. As a side note. Salaried doctors will have the majority of their issues covered in their contract and/or job plan. However, it is worth reviewing the following with those documents. For GMS practices these should be in line with the standard BMA contract. What forms your terms and conditions? Now you have decided to have your own terms and conditions, what do you need to include in them? This is the section that details what work a sessional GP is agreeing to do. Some sessional GPs will have this set-out, ie in a job plan as a salaried doctor. As a locum, you can state what work you are offering to do for the practice. If you are working in multiple practices which have different systems of working, then this may include template offers which incorporate the main clinical duties of appointments, visits, and admin. how many appointments are you agreeing to provide? is this based on time or number of appointments? Is this the same if telephone appointments vs face to face or even VOIP (Skype- like) appointments? Does triage clinics factor into these categories? What is the start time of the clinic? Do you require any blocks, if so are these exempt from charges? Are there any appointments where you may need extra time ie patients who do not speak English, or patients with significant learning disabilities. do you agree to do them? If so, how many, or is there a limit? does it matter if they are at the same location or different if there is a limit? is this included in the hourly rate or extra? When you are working, what have you agreed is provided? This may seem obvious, but what about induction time, smart card access, access to pathology requesting systems, disposable otoscopy heads, emergency medications etc. Some practices may even offer the ability to practice with their clinical system if it is one you have not used before or even offer extra training. Your working effectively is in their best interest. Other things to consider are access to practice (if any mobility disabilities), parking place or do you get the same room if working a whole day (relevant in hot-desk situations), and how to handle issues in the event of an IT failure. These may be more pertinent for salaried doctors also with regards to more regular equipment such as outlined in our page on DrGandalfs essential GP equipment list. In this section, it is worth considering those last minute situations. Often this may include work aspects such as signing routine prescriptions, specialist clinics, on-call duties, completion of death certificates (if applicable) or extra visits. An alternate way of dealing with this may be simply that you do not offer these services. Certain responsibilities should be made clear. If working as a salaried doctor- who pays the indemnity, tax, GMC or other subscriptions. More pertinent for locums will be regarding the employer contributions to the NHS pension scheme and a clear declaration with regards to IR35 regulations to make clear your legal employment status. Often the focus of cancellation policies is based on the practice canceling with a locum. Most locums will have a stratified approach to this based on the time frame ie no charge for cancellations more than two-four weeks before a booking, and then varying levels of cost based on how close to the work date the agreed work is canceled. 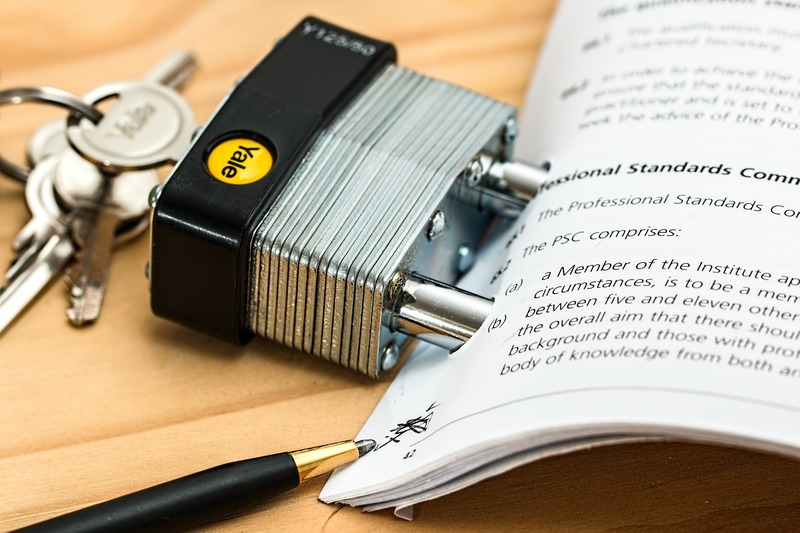 Offering similar to practices in your terms and conditions may also make you more favorable, due to reliability and trust. Examples of this may be offering to source alternate cover if you are unable to complete the work as agreed on the day, or offering part or all of the work for free on another day, or covering the extra cost over your agreed amount a practice has had to pay to source last minute cover. Other considerations are snow days/ adverse weather issues/illness. As with cancellation policies, this is the area that often causes difficulties if not clear in the form of a terms and conditions document. Payments terms can simply be: ‘all payments to be made within X number of days from completion of work agreed via route Y (normally bank transfer)’. However, if you are doing regular work with a practice it may be sensible to direct how this payment should be made. Also having a clear line about if payments are late – if this mandates a charge and in what form/ level. To some degree flexibility in this area may be sensible. For example, if a practice approaches you stating they cannot pay all your due costs till the following week, due to late payments via the myriad of income streams within primary care and request a few days grace, this may be worth considering. Prior communication may encourage a grace period, repeated issues and further delays, however, would then be applicable as per your charges. To share with practices, often storing your sessional GP terms and conditions in a cloud storage site like Google Drive or Dropbox can enable easy linking to be sent with all email correspondence to confirm work with simple lines such as ‘ in agreement with my terms and conditions as outlined at www.onlinestorage.com/mytermsandconditions’. For those who regularly locum, adding this to your email signature that you use to confirm work with can make the process even easier. Remember however that using other peoples terms and conditions is not advised if you are using the same fee structure, as this could be considered rate fixing. Also having your own will show your individuality and self-worth. Hopefully, this guide will help you recognise the need for clear terms and conditions, and also help you create your own.